One of the great things about the Fulbright is its flexibility. The Fulbright limits the number of hours I can work to 26 hours/week, the idea being that I will have enough free time in my schedule to explore Norway and to better understand and interact with Norwegians and Norwegian culture. 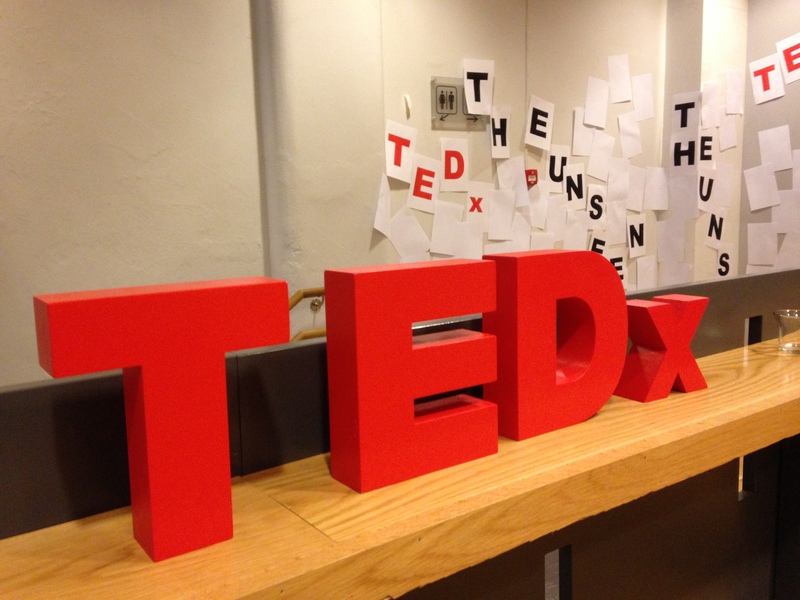 One of the things that I have taken up in my free time is volunteering with TEDx. 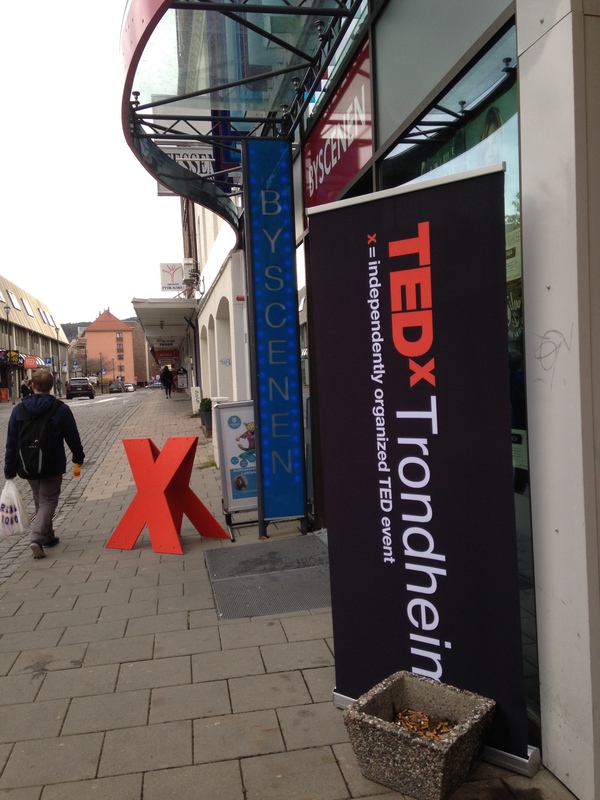 I have always been a huge fan of TED talks and was excited to get involved with the local organization here in Trondheim. I became a volunteer about a month ago and have been working as a member of the creative team, which means that my primary job is to work with speakers on their talks and general stage presence. The speaker that I primarily worked with leading up to our main event was Espen Holmgren. Espen runs drug and behavioral rehabilitation programs in the wilderness, and the focus on his talk was on how the wilderness can help you break down barriers, start to embrace yourself, and start to fix your own problems. It was really wonderful working with Espen, someone who is so passionate about what he does, and to help him craft a compelling story that he could tell to the audience. While I primarily worked with Espen, I gave feedback to some of the other speakers and found it fascinating to hear from so many different people and experts. 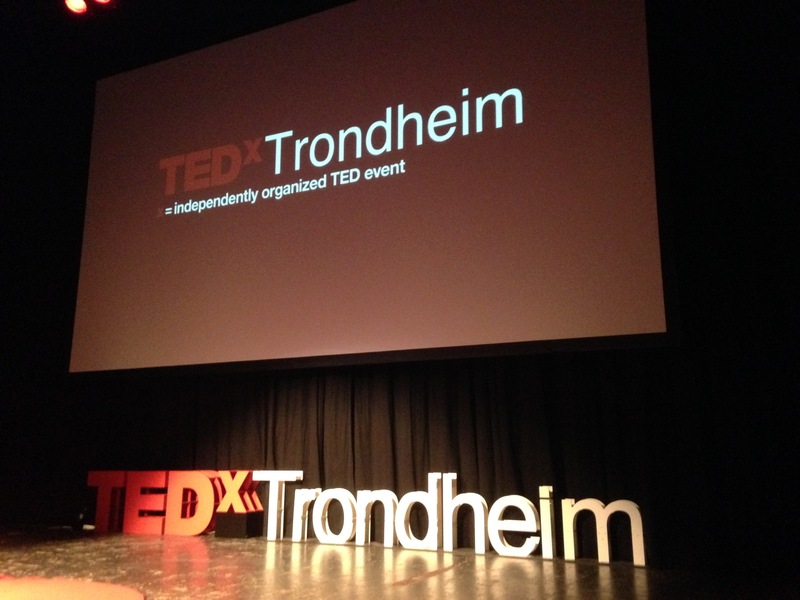 One of the people that I really enjoyed listening to was Åslaug Kihl, a social worker who works in Norwegian prisons. It was fascinating to learn about how in Norway the focus of prison is less on punishing prisoners and more on rehabilitating them to make them productive members of society. Part of what Åslaug does to help fascilitate this process, is to work with other people involved in the justice and prison system (primarily police officers and drug addiction specialists) to help gain the trust of prisoners and encourage them to be lawful citizens after they leave. I think the most fascinating story she told was of a prisoner who had been released and was contemplating taking drugs again. This person called the police officer he had been working with inside prison and asked him to come over and support him so that he wouldn’t in fact take any drugs. The police officer responded to this call and helped the man stay on the right path and out of prison. This story blew me away not only by the amount of trust that was displayed in this relationship, but also because it was hard for me to envision someone in America calling up the police and asking them to support them and stop them from committing a crime. While working with the speakers was a lot of fun, it was even better to finally see them up on stage. We had our big event for 2014 last night and had a total of ten speakers. The event went really well and it was good to see everyone’s hard work pay off. If you’re interested in seeing some of the speeches from last night, the video should be added to this page in the next week or so.